Download and install latest Lenovo Ideapad 330S-15ARR drivers for Windows 10 64 bit to get your laptop work properly. 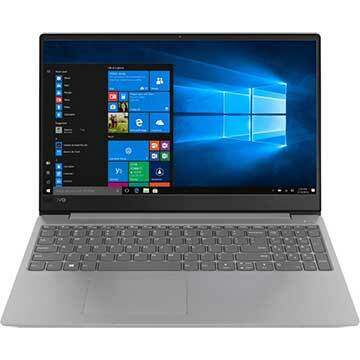 Lenovo Ideapad 330S-15ARR is 15.6-inches laptop powered by 2.0 GHz AMD 2nd Generation Ryzen 5 2500U quad-core processor and AMD Radeon Vega 3 / Vega 8 / RX Vega 10 Graphics video card. This Lenovo Ideapad 330S-15ARR 81FB notebook comes with 8GB 2400MHz DDR4 dual-channel memory and 128 SSD solid state drive to store files, musics, videos, and documents. This mobile computer features 11ac, 1x1, Wi-Fi, Bluetooth 4.1, 4-in-1 memory card reader, USB 3.1 Gen 1 port, USB 3.1 Type-C Gen 1 port, HDMI 1.4b port, HD720p web camera, stereo speakers with Dolby Audio Premium, and 30Wh or 52.5Wh Li-ion battery. Dimensions (WxDxH) : 14.11" x 9.61" x 0.76"